A beef burger with crispy Parma ham, mozzarella, Baggio Burger salsa verde, nduja mayo, rocket, red onion and rosemary salted chips. 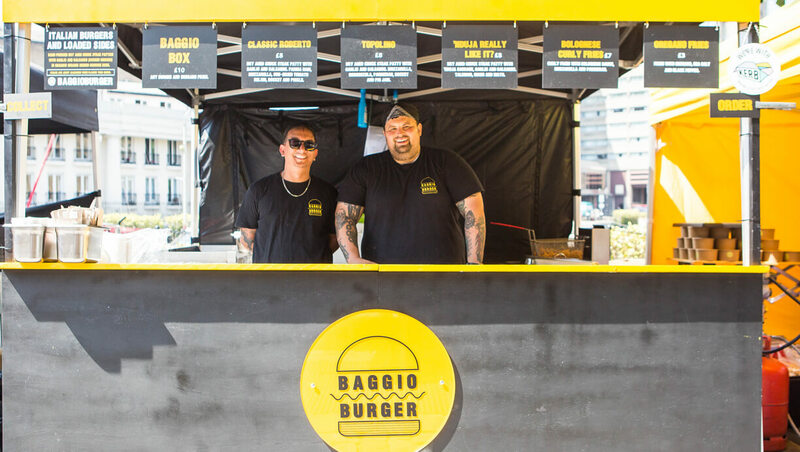 An Italian-inspired burger business and street-food rising star founded by chef Nino Apuzzo. 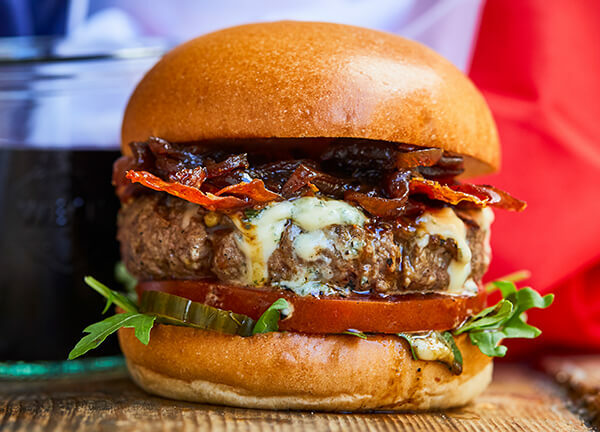 Find out more about the local special burgers, beers and more serving at Honest Burgers. 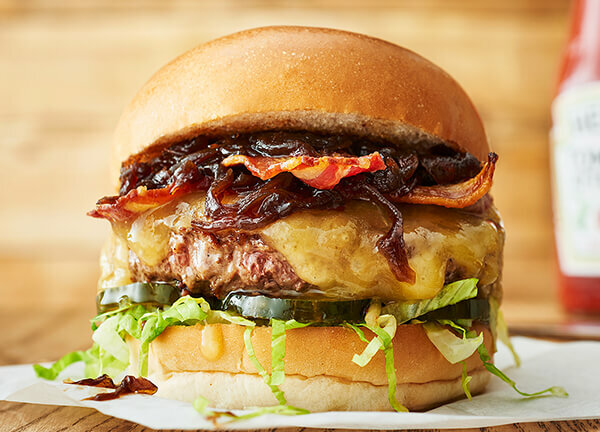 This burger is only available at our restaurant in Holborn. 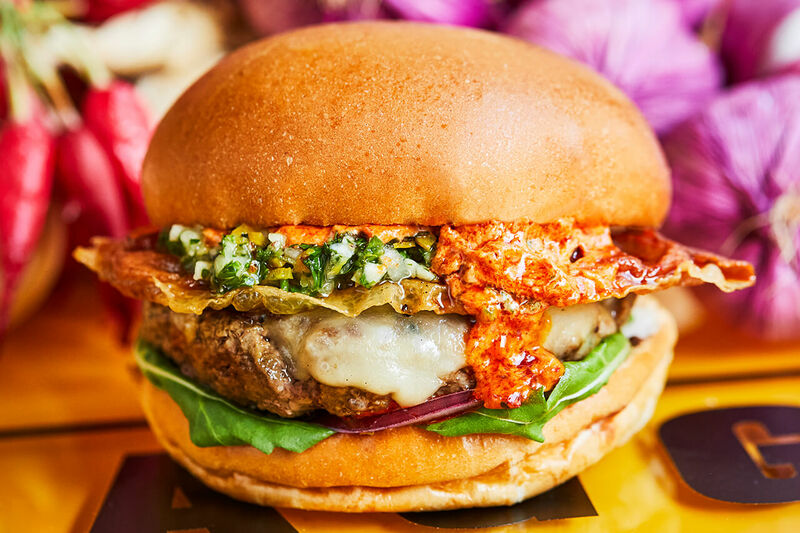 Inspired by Nino from Baggio Burger's childhood trips to Amalfi, this burger starts with oozing patty-hugging mozzarella, to which we add homemade salsa verde (Nino's dad's recipe) and nduja mayo – a blend of Calabrian spicy spreadable sausage and our house Mayonnaise. Nino and his daughter were baptised less than a mile away in London's original Little Italy – we're keeping it in the family.